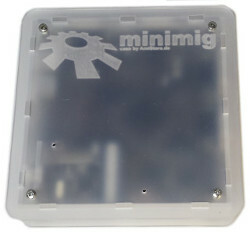 In contrast to other solutions for the Minimig, this case is really an enclosure and protects the board from all sides. 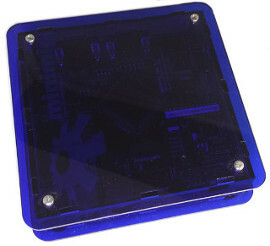 There are only openings for the board connectors, the enclosure is otherwise shut for maximum protection. 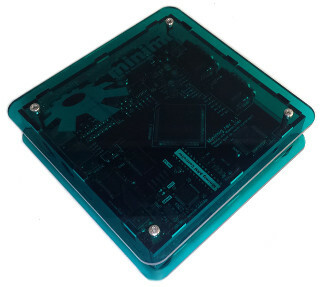 Available in four different colours: white, opaque, translucent blue and translucent green. 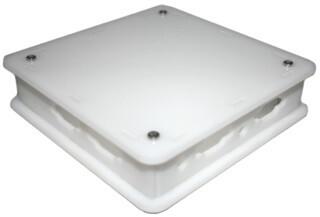 Package contents: enclosure including screws, bolts and feet.